Life is full of advantages and disadvantages. Sometimes life can be fair this minute an unfair the next. 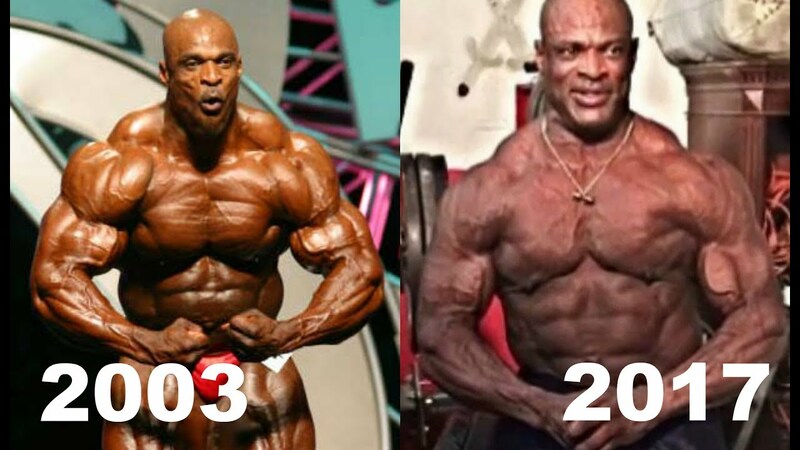 For Ronnie Coleman, it is a matter of "I DID IT, BUT IT CAME WITH A BIG PRICE!" Ronnie is today recognized as one of the greatest American Body builder ever lived. His journey to the top isn't all soft and smooth as he graduated with a college degree in accounting but was unable to get a job. Ronnie next found a job at a Domino's Pizza, he #mainly fed off pizza daily as that was his major chance of eating as he was too poor to eat outside. Ronnie later joined the Police force, later on in his Officer career, his fellow officer urged him to join a Gym training after seeing that he(Ronnie) has got the stature for a weightlifter.It was reported Ronnie was offered free entry by the gym owner after sighting the same thing Ronnie's fellow officer saw. The gym trainer promised to train Ronnie into one of the best body builders in town. Ronnie won the next competition that followed and went on to win the Mr Olympia 8 consecutive times until he was dethroned. Every fan of Ronnie or the anyone with a good heart will have nothing but an eyes filled with tears after getting to know of Ronnie's story and his condition today. After Ronnie was dethroned in 2006, he stopped competing a few years and soon he started suffering from chronic injuries to his back, hips and muscles. It is reported his hips has both been replaced and pictures of Ronnie after surgeries has surfaced most times on instagram, with him telling his fans of how painful it has been for him. A doctor explained Ronnie's condition as an "advanced stage of degenaration", a result of the wear and tear of the weight he has put on his body over the years. Despite his condition, Ronnie still visits the gym to work out, as it is advisable for his general well-being, if he has to stop gyming and working out, the muscles will wear and tear out completely and we stand to witness Ronnie Coleman's life cutting short at just 54. A Vlad Yudin is said to have documented Ronnie's life and career in 2018, a documentary titled Ronnie Coleman: The King. It is said to have been released on Netflix. Today, Ronnie has been engaged in three surgeries and the reports are pointing at his probability of not being able to walk again, although after his recent surgery in September, there was good news that he can still walk. Ronnie has been engaging in rehabilitation to enable him walk freely again. Asked if given another chance, would he become the same Ronnie Coleman, he said he did do it again. Crazy isn't?? ?